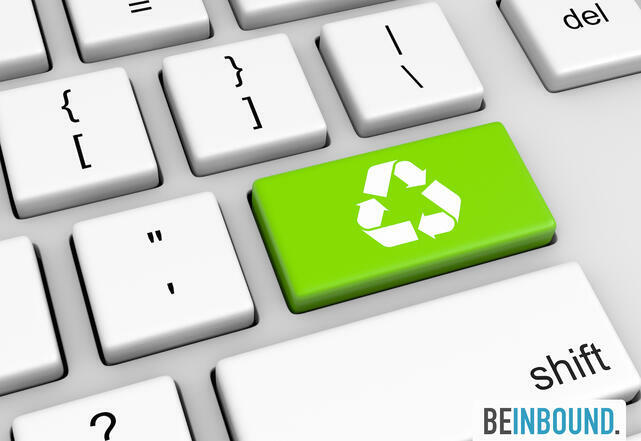 Repurposing content is exactly how it sounds – it’s when you make a piece of content serve a different purpose by changing the format and/or the target audience. Perhaps you have a series of blogs that have a similar theme? Why not turn them into an eBook. Or you might have a whitepaper originally intended for, say, your business owner buyer persona, and by changing the tone and language, you can apply it to your manager persona. This is not to be confused with ‘revamping’ content, which is when you update a piece of content but continue to use it for its original purpose. Out-dated statistics are a sure-fire way to make your content look stale, so if you have a whitepaper that references a 2014 study, try to find a 2015 equivalent and get a second bite out of it. Repurposing is a great way to squeeze every last drip out of the work you’ve done. Not only will you save time, but with more high quality content spread across a diverse set of platforms, you’ll attract a bigger audience to your website, which will in turn generate more leads. It's a win-win!